A smartwatch is a miniature device which is worn on the wrist and provides a stylish look with superior functionality. It can perform many types of tasks such as remind you about appointments, monitor your health and of course, tell you the time. However, as with virtually every electronic device today, it has a number of security issues that you should be mindful of. Here is what you should know about smartwatch security. Cybercriminals are constantly looking for exploits in software. Developers respond to this by frequently updating their products to shore up any vulnerability which are discovered. This is why it is so important to keep your software updated, not just on smartwatches, but other electronic devices. While it may be a hassle to install these updates, they are essential in patching up security flaws that are potentially dangerous. In addition to cybercriminals, you still have to be mindful of the old fashioned thieves who will simply take the watch and walk away with it. Once they have it in their position they can steal data off it. It is for this reason you should use a security mechanism such as Activation Lock, which is provided by Apple and blocks thieves from using the device once it is in their possession. Threats to your privacy not only come in the form of cybercriminals and street thieves, but also insurance and advertising firms. These organizations are known to purchase data regarding consumers so they can use it to determine their pricing and marketing strategies. 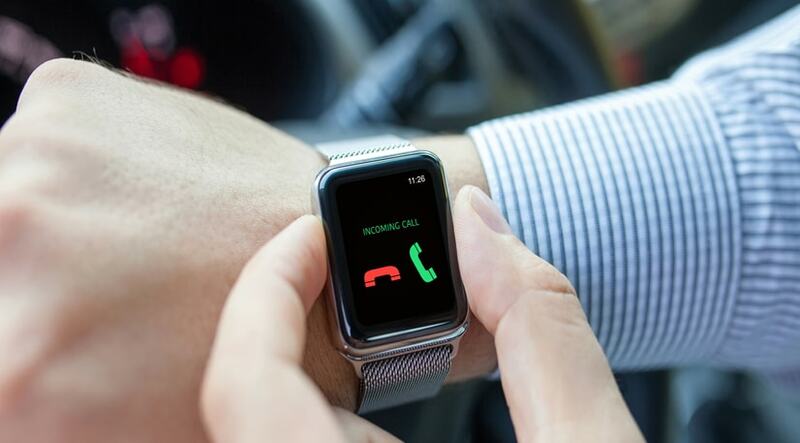 Due to the fact that smartwatches contain a significant amount of data about you, insurance companies can use this to their advantage, refusing to provide you with any insurance if they feel you have too many health problems. Before installing a fitness app on your watch, take the time to review its privacy settings. Find out which ones get shared publicly, and if you insist on using these apps you should register an alias as opposed to your real name so that your stats can’t be tied directly to you. Think carefully about the apps you install on your electronic devices and always keep a lock on any fitness data. As long as you keep a tight rein over internet privacy and security issues, you can continue to wear you watch and use it in the manner for which it was designed without having to worry about your personal data been exposed to people that shouldn’t see it.